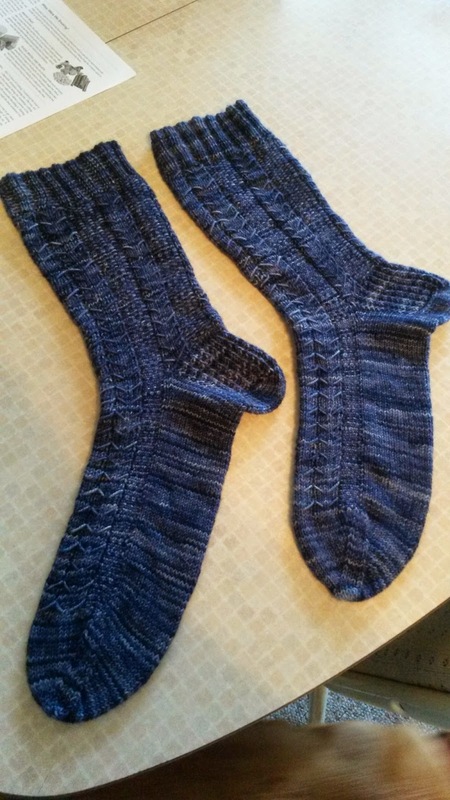 PATTERN: Edwardian Boating Socks by Emma Grundy Haigh. 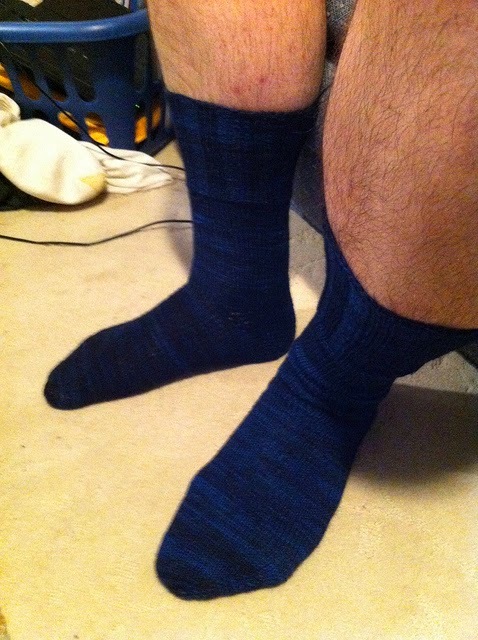 YARN: Fable Fibers Novel (80/10/10 merino/cashmere/nylon, 600yds/150g skein), colorway "Denim." MODIFICATIONS: Virtually none. 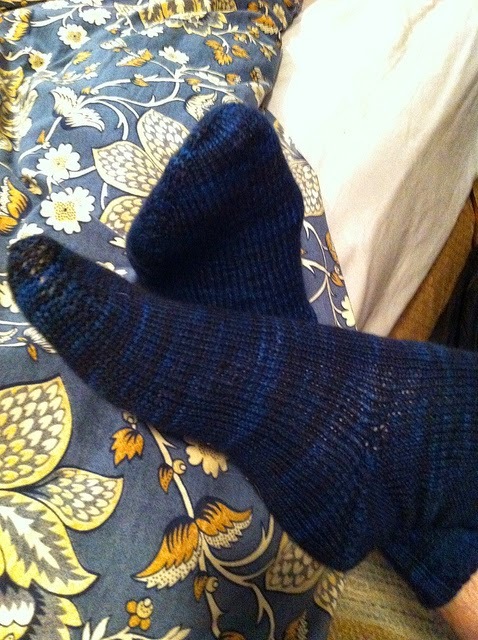 I used the twisted rib adaption of the heel for extra stretch, and made the leg longer than called for in the pattern. I did end up with differing numbers of stitches occasionally, because Ms. Grundy Haigh uses the (frankly) stupid "needle 1, needle 2" method of pattern-writing, which is impracticable for anyone wanting to a) avoid ladders, b) use a different number of DPNs, or c) use something other than DPNs in the first place. 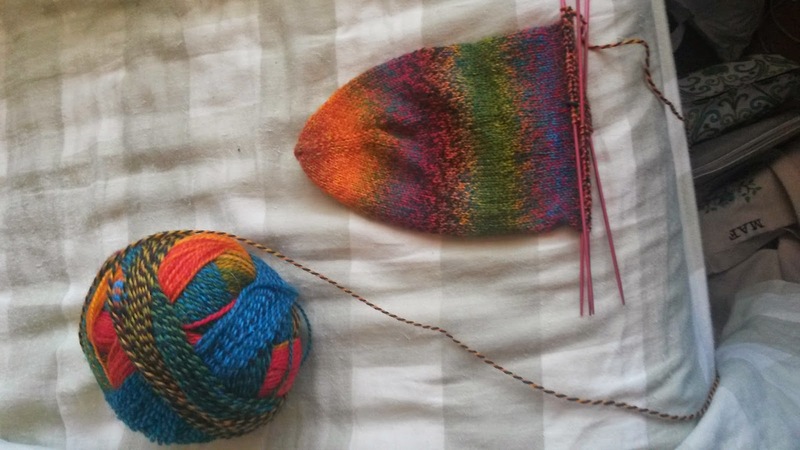 I may not be the best designer in the world, but I do try to write my patterns with an eye to flexibility, particularly when it comes to something as individual as sock-crafting preference. 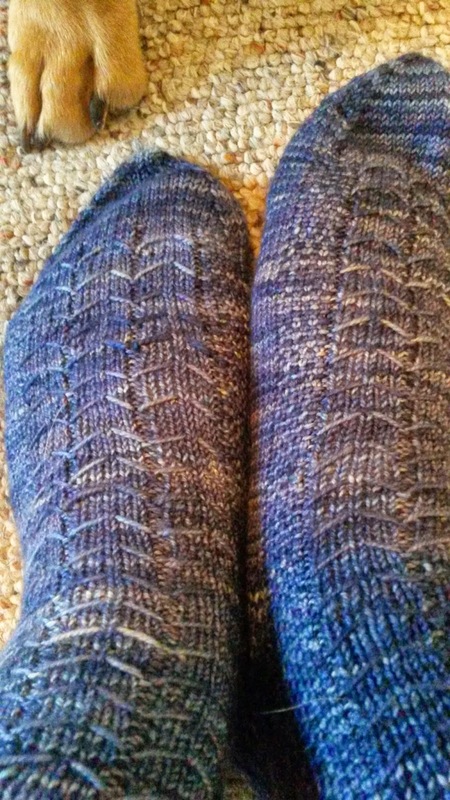 So really they should be Victorian boating socks, but WHATEVER. A foolish consistency is the hobgoblin of little minds. 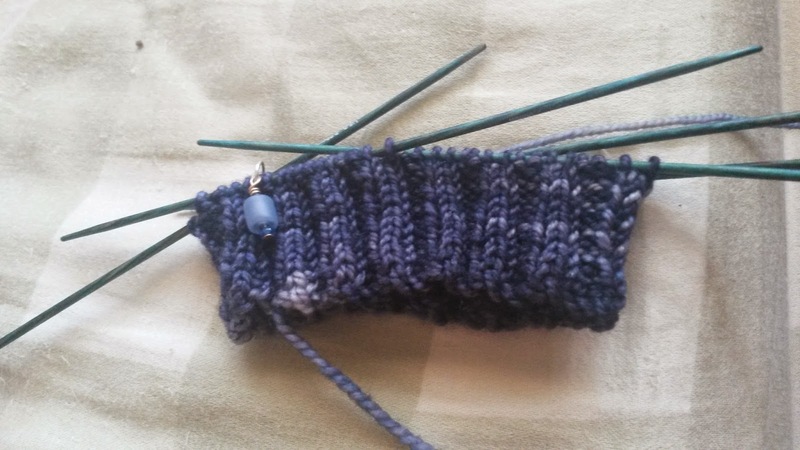 I am knitting them in Fable Fibers Novel (80/10/10 merino/cashmere/nylon), which I am liking very much so far. Nice and plump. I am also absurdly pleased by the matchy-matchy stitch marker. Still Yet One More WIP . . .
. . . about which I will be coy a little longer. But doesn't it look nice and squishy? Yarn: Dream in Color Smooshy with Cashmere (70/20/10 merino/cashmere/nylon). 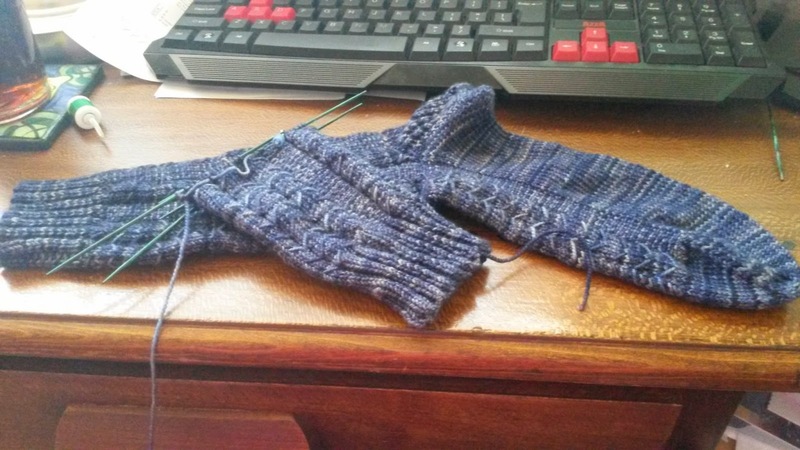 This was really a wonderful yarn to work with--the hand was lovely, and it made beautiful socks. 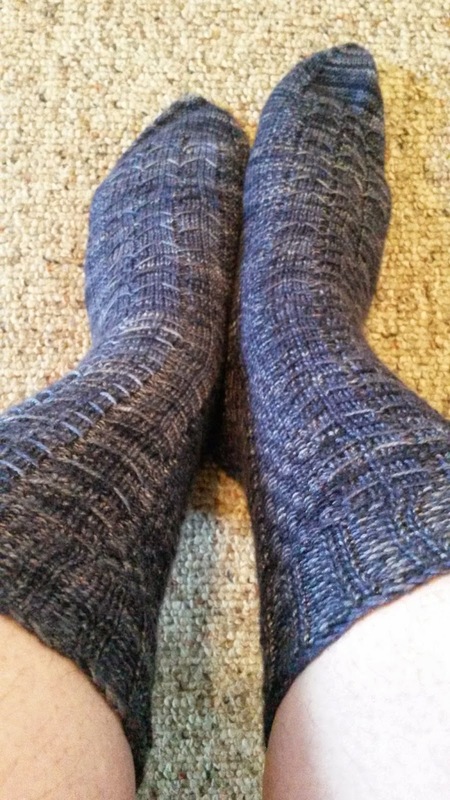 Himself had been begging for cashmere socks forever, and I finally managed to oblige. Last Christmas, my mother gave me a gift certificate to the LYS in my hometown (which is fabulous, by the way, hi, Shelley!) 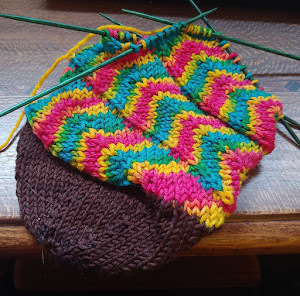 and oh-so-casually mentioned that they'd had "really beautiful socks in this yarn that was right by the register!" 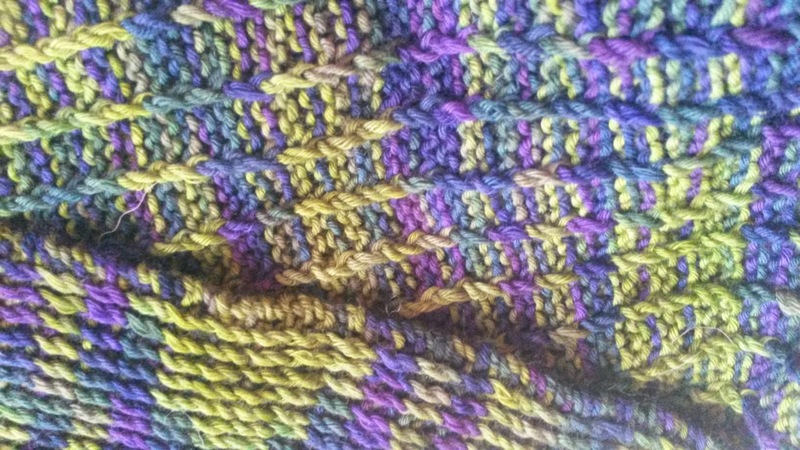 Just a note to say that I am back and lining up more knitting for your amusement.